I’m a horticulturist, I garden for a living, so naturally you would think that I have a thriving houseplant collection. It is not true. I have a small collection of houseplants that are all survivors. The plants that live in my house are the ones who thrive on neglect. Gradually the high-maintenance plants that used to adorn my windowsills have found their way to the compost pile. Mostly what remains are cacti and succulents. I also have one very tenacious tropical orchid named Sam. I’ve been told by orchid growing friends that I have a beginner orchid, an easy one to grow. My Phalaenopsis, or moth orchid, is perhaps a little lonely; she used to have four family friends who all perished under my neglect. My little orange orchid is a long way away from her rainforest home, but she still blooms faithfully year after year. She likely started her life in a laboratory and grew up in a factory in the United States or perhaps Taiwan. Her home now is a south-facing window near our woodstove, and I remember to water her at least once a month. I have fed her perhaps three times in the past 10 years with a special orchid fertilizer and other than that I have left her alone to photosynthesize and survive. If you are like me and love plants but can’t seem to find time to care for them at home, you may be intimidated by the thought of growing tropical orchids. Many people give orchids as gifts when they are in bloom. Sadly, a high number of these plants are disposed of once the flowers fade. If you have recently been gifted an orchid or bought one yourself, I encourage you to seek advice from the experts. You will be rewarded with blooms each year and feel good about providing a sustainable home for these beautiful and unique plants. This year at the annual Wolfville Orchid Display, the Valley Orchid Growers are holding a free orchid care clinic. So, mark your calendar for Saturday February 23, and come out to the conservatory at the K.C. Irving Environmental Science Centre on the campus of Acadia University. On this day a small group of individual growers brave the February temperatures and take their precious plants out for a car ride so that we can experience the beauty of a greenhouse filled with tropical orchids. 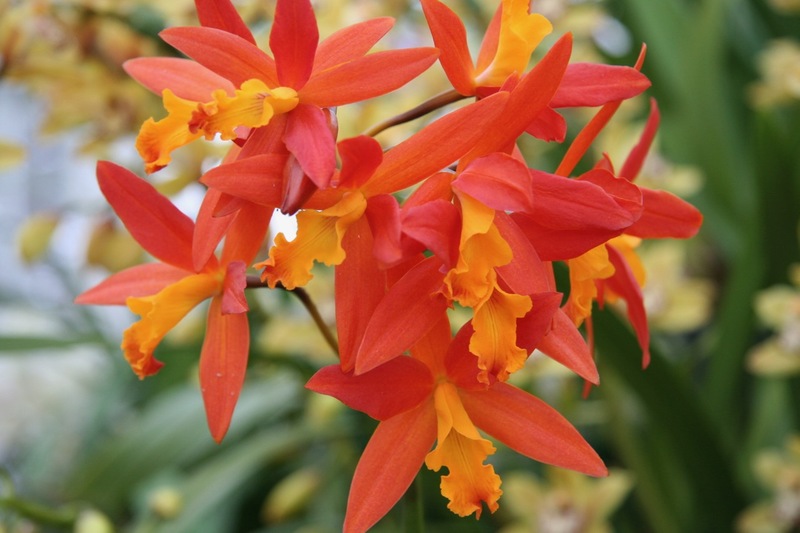 The orchids will be on display from 10:30am to 4pm. 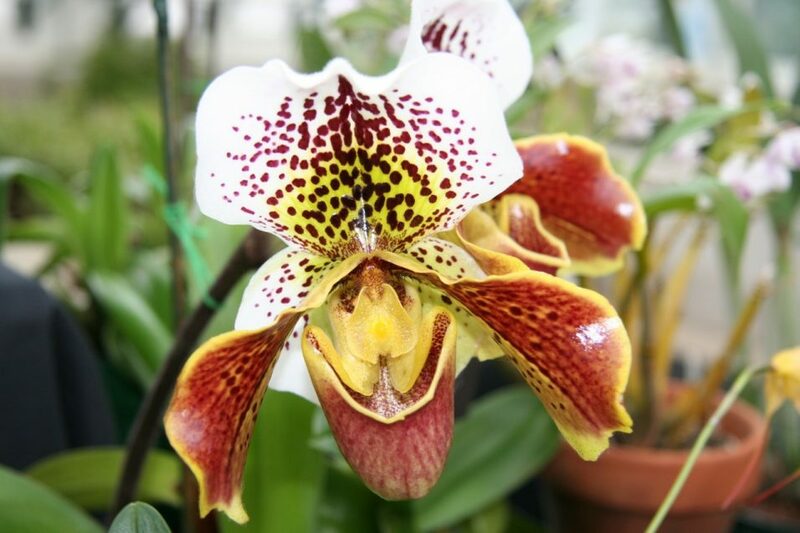 The orchid care clinic will happen at 2pm in the potting shed, just down the hall from the display. Bring your plants and potting supplies and local experts will help you with repotting as well as answer any questions.